While the common notion is that college festivals in Mumbai, Pune, Delhi and other educational hub have a rocking guest list of A list bands, playback singers, award winning musicians this time around things have changed and how! Gujarat is the state that is currently high on festivity, celebrating art and music. From A R Rahman to popular singer Usha Uthup, a lot of singers are paying frequent visits to the state to celebrate the different phases of the art. Naada Music Festival recently held in Ahmedabad featured an all girls rock band Hurrican Girls, along with celebrated musicians like Shubha Mudgal and turned out to be a huge hit. But that is just one example! Many such artists are being a part of this celebration and gushing about the enthusiastic audience who just can’t get enough of music. Going a step beyond, the youngsters this time have explored horizons beyond the confines of Bollywood music – giving equal importance to indie performers too. In fact a lot of these collegians prefer young bands and contemporary music as they can relate to them. Parikrama and the favourite DJ Aqeel have been invited at the same platform to serve the tastes of different audience. With Gujarat turning into the new hub for music, we believe that many artists may be eyeing this state as the new hotspot to showcase their talent! Music Mania is on our mind!! A simple idea that evolves during a conversation over a cup of tea can create wonders! Something similar seems to be the inception point of Music Mania that is set to spread like wildfire in Mumbai. One of India’s most popular Ghazal singers, Talat Aziz’s wife Bina who joined her husband in his private party with his contemporaries Pankaj Udhas and Anup Jalota sculpted a new concept of promoting music and searching for new artists! Bina Aziz has decided to launch a music club Music Mania and her husband Talat too has given a thumbs up for its execution. The club is supposed to have musical events with a luxurious wine and dine setting. Excited about her new venture, Bina Aziz said that the main feature of the club would be hunting for new singing talents across varied genres of music who have the confidence to perform at events organized by her club. Accompanying the couple is Pankaj Udhas who believes that the club will be able to provide music according to the listener’s choice unlike other mediums and will turn out to be the perfect hangout for the ones who love live and exclusive events in the city. Anup Jalota too is extending his support to the new venture and said that he would like to know every member of the club through active interactions. Soumini Paul of artist aloud in association with Safia Ally of 92.7 Big FM have also informed that the artist talent hunt will be conducted through live events and digital voting and will reach out to over 65 milliion people. The club is all set to kick start at Sunville Banquets, Worli, Mumbai on November 26 and will feature different kinds of talent along with promoting a young Hyderabadi singer Adil Hussaini. So, are you ready to be a music maniac? Acoustic Tuesdays at The Little Door’ – Artist Aloud’s foray into exclusive Venue Talent Programming has been very successful so far. The live gigs every week have been making Tuesdays the best day of the week for the audience, with talented artists performing various styles of music live on stage. If the gigs so far give a good picture, then Nov 12th on Acoustic Tuesdays promises to be picture perfect because performing that evening will be none other than INDIVA. Indiva is an all women band formed not very long ago. 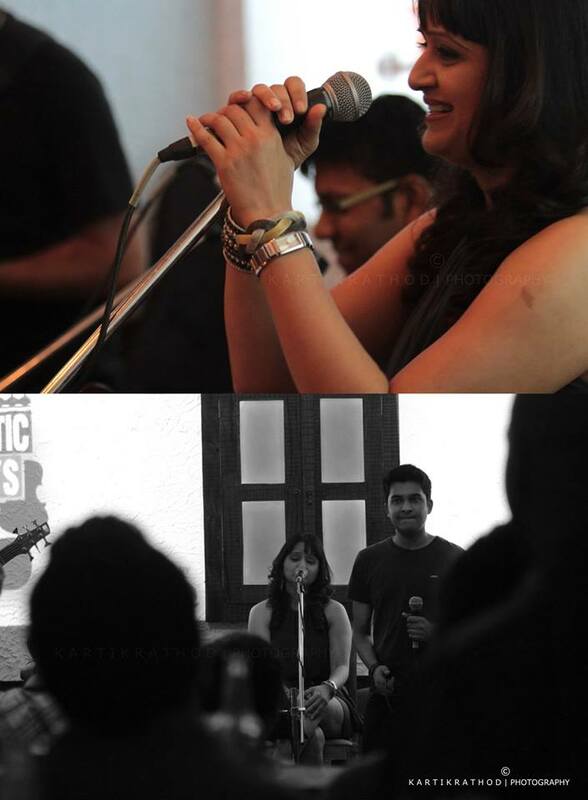 Merlin D Souza on keyboards, Shruti Bhave on violin, Vivienne Pocha on Vocals & guitar and Hamsika Iyer on Vocals form this `diva-licious’ 4 piece band. The names need no added introduction with all members boasting of credentials that speak of the immense talent & experience they possess. Their music blends classical forms like Hindustani & Carnatic with elements of Jazz & world music. Indivas is lead by Merlin D Souza who composes & arranges for the band. Artist Aloud, being the pioneer, the core of promoting Independent music entertainment has spread its wings to Live Venues & talent like INDIVA who promise to raise the success of this new foray a notch higher. And of course, it’s all for the fans and their love for music! 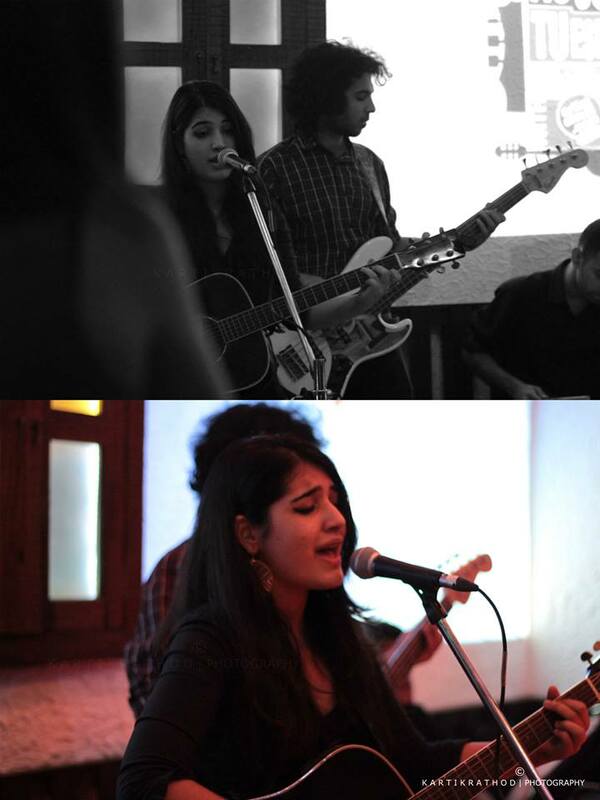 Make sure you are there on the 12th of November at The Little Door, Mumbai to catch INDIVA live! Two pretty ladies crooned their way to the hearts of their fans! One is popular, famous, glamorous… and the other has just confidently taken a step in the direction of music! But their voices kept the magic of music alive throughout the evening. Roshni Baptist having sung for Bollywood, knows the trick of the trade and her voice keeps echoing in your mind every time you hear it dancing in tune with the beats and rhythms of the background. Shayaan Oshidaar has the much needed innocence in her voice that will keep you wondering if ‘good things come in young packages’. Acoustic Tuesday is way of celebrating the festival of music every week to enjoy a peaceful evening, a break from the monotonous stressful life. Acoustic Tuesday gives artists and music lovers a chance to explore genres of music and to gauge the kind of talent that our country poses. Shayaan Oshidaar is one of those young, vivacious talents who has a passion for music just like Roshni Baptist who possesses the same ardor even after experiencing this world of music.